Welcome to week 269 (3/17/2016) of Travel Photo Thursday, featuring my favorite lily shots, from over the years. 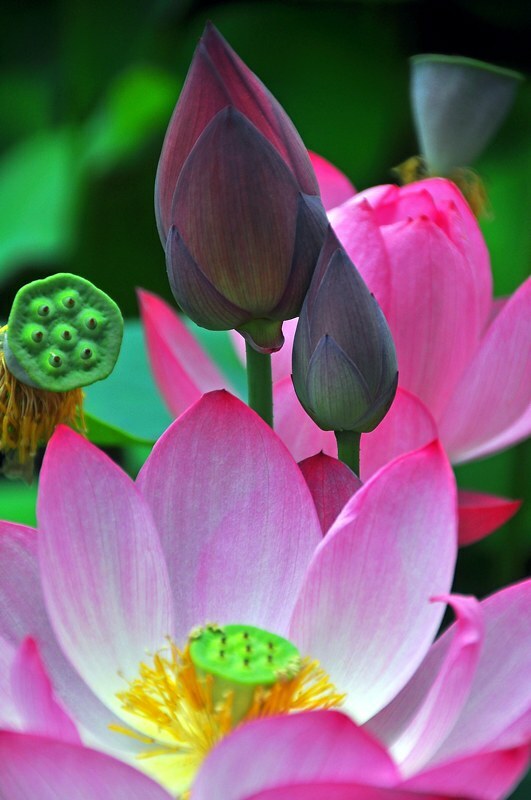 You might be thinking what do lilies have to do with travel. Well, each shot was taken in a different country, and each one comes with a story and a memory. Traveling in the off season can have it’s perks. Back in 2009 I decided to return to Thailand’s Koh Chang. It was July, and deep into off season. I scored a beautiful bungalow, steps from the beach. How often do you get to wile away a couple weeks at at five star resort for under $30.00 a night? These are my hauntingly beautiful Ko Chang lilies. Back in 2009, just before heading to Ko Chang, I spent 3 weeks house sitting in Tien Wei, Taiwan. Except for my seven doggy charges, I was pretty much on my on. The area has a huge garden area within walking distance of my house sit. Everyday for three moseyed through the gardens with my camera in overdrive. These are two of the lilies that I managed to capture, complete with bees! I left Luang Prabang, Laos, back in 2007 with these beautiful additions to my collection. 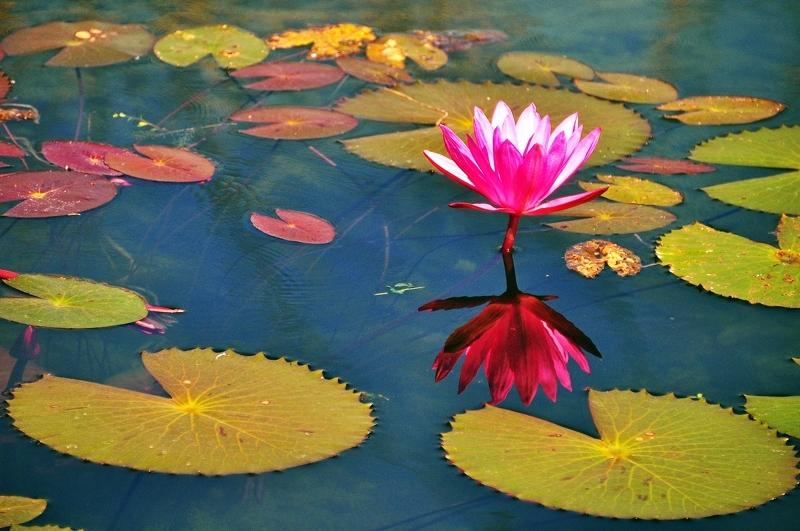 Bali is also a great place to hunt down lilies, without looking very hard! I found this beauty in Ubud. 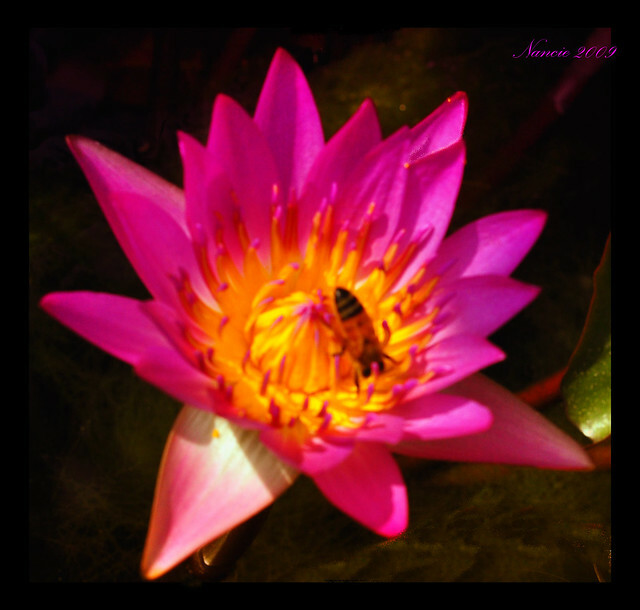 I love water lilies and always have my eyes peeled for them when I’m traveling. 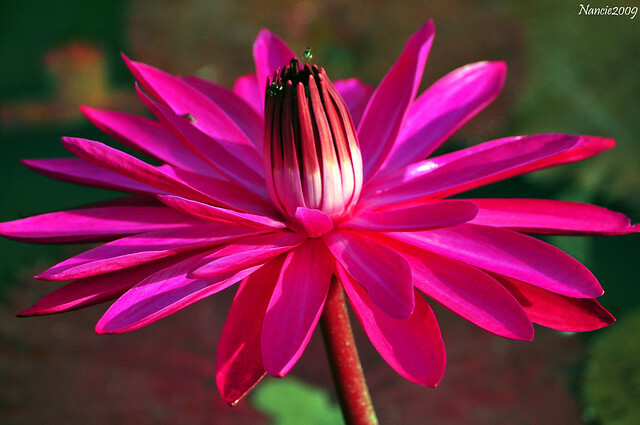 Do you have a favorite flower that you like to capture when you’re roaming the planet? Stunning! I hope these are framed and on your wall somewhere! Hi Jill! Thanks! Actually, I don’t have too many of my own photographs displayed anywhere. I probably should, but knowing that I’ll be leaving Korea one of these days makes me hesitate to spend the money on framing! 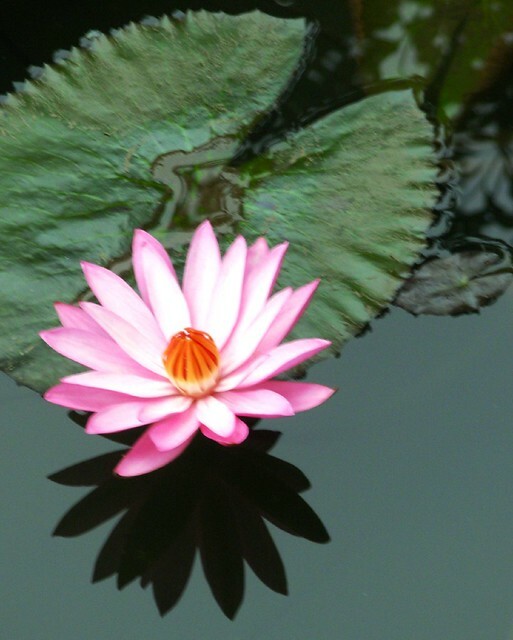 Your Ubud lily is my favourite – just gorgeous. I love these lillies too Nancie. So evocative of Asia. Hi Jan! One of my favorites too. I had fun shooting in Ubud at the lily pad pond. So totally gorgeous these photos, Nancie. Hi Sophie. Thanks so much. I’m glad you enjoyed series. Nancie, These are stunning images. I love taking flowers! Hi Corinne. I agree! I’m itching to see the first buds here in Seoul, and to my camera clicking again. Right now, it’s still gray and a little dreary here, so not overly inspired to get the camera out. 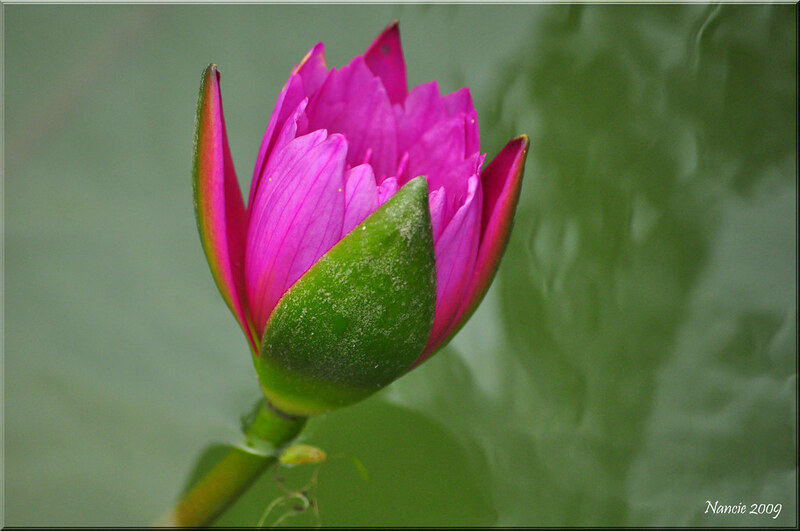 Those close shots of water lilies are spectacular  Keep up the good work! really beautiful photos! Lilies are so nice! Hi Tanja! Yes, definitely one of my favorite flowers! Oh my, these are stunning photos Nancie. I hope you’ve enlarged them onto a canvas and have them hanging all over your home! Hi Jackie. Thank you so much! One of these days when I’m really settled somewhere I will do just that! Hi Bushar! I’ve taken a few shots of petunias and roses along the way too! Thanks for dropping by. 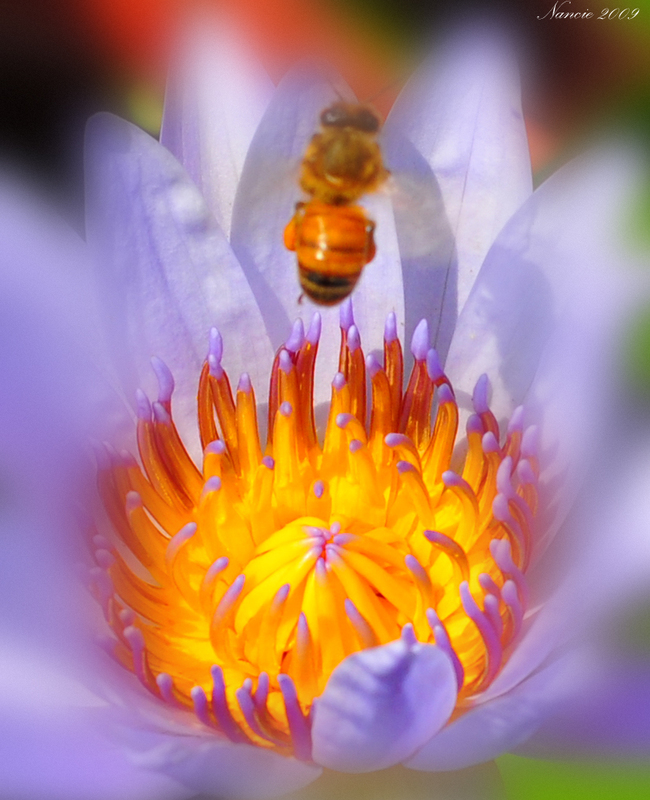 Incredible macro photography – loved that shot with the bee flying out of the flower. It’s so buttery smooth! I agree with you. Lilies are just lovely and you have captured them beautifully. Beautiful Nancie. 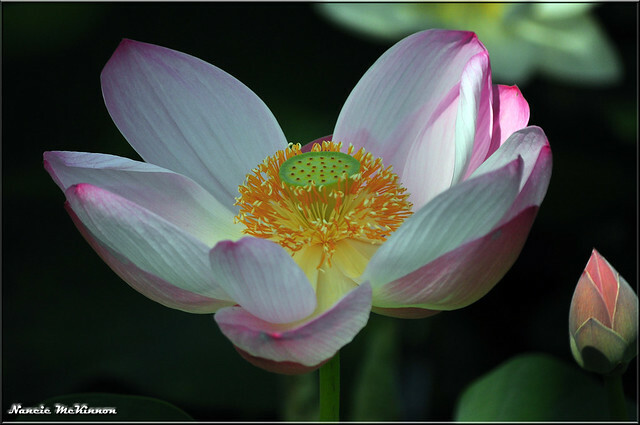 I love water lilies or any flower for that matter. What an absolutely gorgeous collection, Nancie! Flowers just make me smile. Thanks! Beautiful photos! I like taking photos of flowers but my camera doesn’t do so well at capturing what I want… or perhaps I need to start wearing reading glasses when looking at the screen on the back of the camera. oh my goodness, so absolutely stunning. I would be in heaven with my camera.